Your kitchen is the feng shui part of the home that nourishes and sustains life. Feng shui-wise, it is the most important part of your home. The kitchen is also a feng shui symbol of wealth and prosperity. This is why one of the first rules for good kitchen feng shui is to avoid having your kitchen close to the front door or to the back door, where the feng shui energy can easily escape. We all know that the food we eat gives us energy. For this energy to be of high and healing quality, the food needs to be prepared in a harmonious and well-organized kitchen; a kitchen that has a balanced flow of Sheng Chi, or good feng shui energy. As we constantly exchange energy with our surroundings, a good feng shui kitchen leads to a good spirited chef, which, in turn, leads to good energy meals for a happy family. Choose colors that blend well and feel good together. Feng shui-wise, the color yellow is a good choice for the kitchen, as it is good for your digestion. You can choose this color as light as "butter yellow" or as vibrant and strong as "squash yellow." 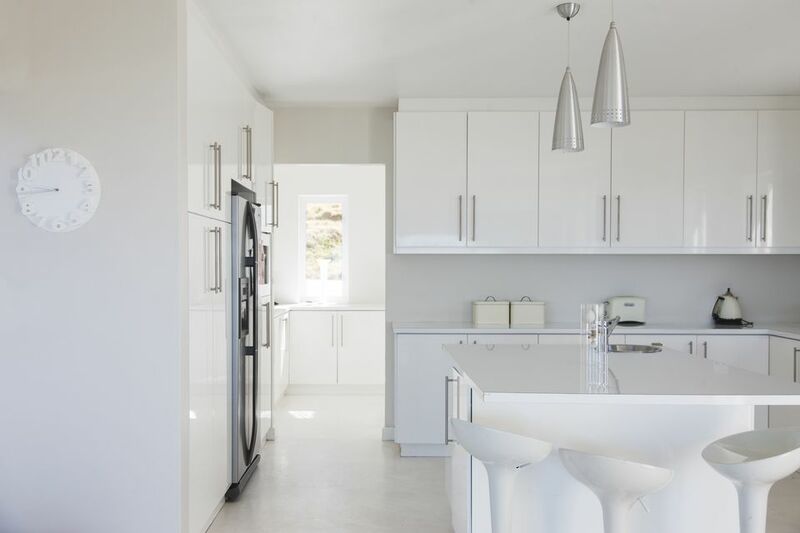 If you are designing a new house or renovating an existing one, you can follow the best feng shui guidelines for the location of a kitchen in a good feng shui floor plan. And, even if your current kitchen is in a challenging feng shui location, you can still do your best by applying basic feng shui tips, as well as constantly creating good, fresh and vibrant energy full of love and care. This good energy you create in your kitchen will come back to you tenfold, so it is an excellent investment in your health and well-being.